1. Why is Larco Investments closing and seeking to partially demolish the Fairmont Château Laurier Parking Garage? The Château Laurier 5-storey garage was built back in 1969. Due to age and Ottawa’s harsh climate that the facility has endured over the years, the hotel’s structural engineers have recommended that the garage be closed as of Thursday January 4, 2018 for the safety and security of hotel guests and employees. An application to partially demolish the structure has been filed with the City of Ottawa. 2. What procedure must Larco Investments follow to apply for a partial demolition permit from the City of Ottawa? 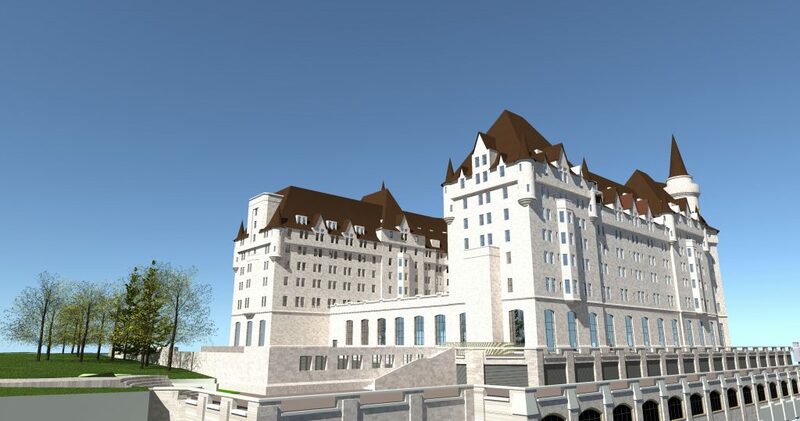 The City of Ottawa has acknowledged receipt of the application to partially demolish the Château Laurier Parking Garage. 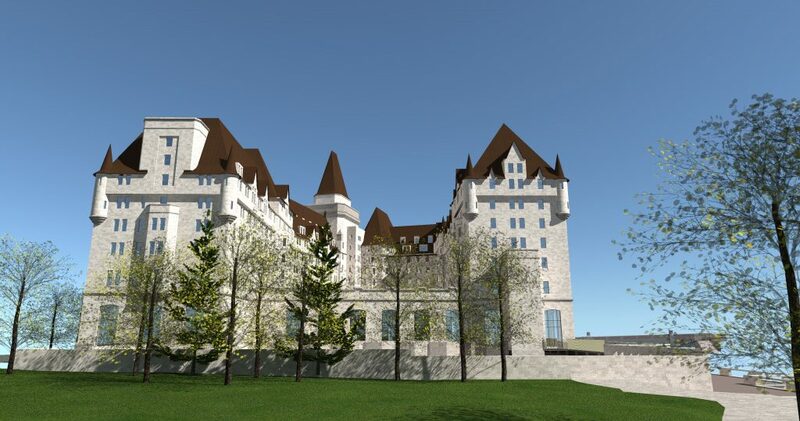 The Château Laurier is designated under Part IV of the Ontario Heritage Act and therefore a heritage permit issued by City Council, under the provisions of the Ontario Heritage Act, is required before its demolition can proceed. The report considering the application will be presented at the Built Heritage Subcommittee at its meeting on Thursday January 11, 2018. It will then proceed to Planning Committee on Tuesday, January 23, 2018 and to City Council on Wednesday, January 31, 2018. Both the Built Heritage Subcommittee and Planning Committee meetings are public with the agendas published one week in advance. 3. Once the demolition is complete when and what will replace the existing parking garage? The demolition and reconstruction project of the parking garage is scheduled to begin in February 2018 with an anticipated completion before May 2018. 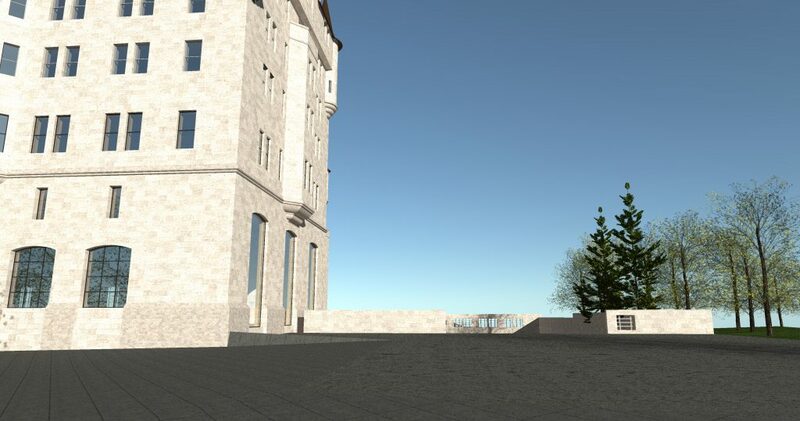 At that time a continuation of the existing parking garage using the first level will be ready to accommodate guests of the hotel. It will consist of approximately 90 parking spaces in total. 4. What happens during the closure of the existing parking garage? It is business as usual at the Château Laurier. The hotel has a full plan in place to offer valet services to all of its registered guests through Indigo Canada. Pro-active communication has taken place with guests, groups and clients about the closure of the parking garage, and the hotel continues to share information as guests reserve a room or book an event. In addition, the hotel will provide a list of parking lots in and around the hotel for those who wish to self-park. This information will be also readily available on the hotel Website. 5. Does this partial demolition of the existing parking garage impact the proposed expansion project? The demolition of the Château Laurier’s existing parking garage is strictly a public safety matter and is no way related to Larco Investments expansion plans. The hotel’s parking structure would have been demolished and replaced regardless of the expansion proposal. 6. What exactly is being demolished? The five storey parking garage will be torn down. The remaining ground level infrastructure surface will be reconstructed to accommodate approximately 90 vehicles. 7. Will there be another parking garage built eventually? Larco Investments hotel expansion proposal includes a 5-storey underground parking garage.